Decreasing costs while increasing service levels: it’s a common challenge and a common goal. Achieving this balancing act is particularly important in the public sector where budgets are coming under renewed pressure. We talked to Victoria Caputa, Digital Lead at Aylesbury Vale District Council, about how it’s transformed public services with its award-winning digitisation programme, Right Here Right Now. 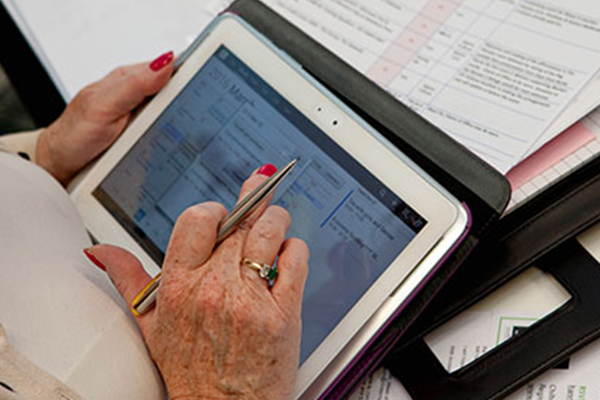 Why does digitisation matter in the public sector? Local residents and businesses expect councils and other government organisations to deliver the same level of service as a global retailer. And that means providing a seamless experience across multiple engagement channels – and not just during traditional office hours. Digitisation enables us to transform service delivery to meet these expectations. What made you embark on such an ambitious digital transformation? To start with, we just wanted to update our website. It was really outdated and didn’t do much. But when we started to talk to website providers, we realised we needed an entirely new platform for digital services to achieve our ambitions. This led us to Salesforce. We started by working out which were our most time-consuming and frequently used processes, and set about digitising and automating them. For example, signing up to our garden waste collection service used to take nine touch points – now it just needs one! How have you managed to achieve such great efficiency gains? We’ve created an online community, My Account, which enables residents and businesses to access council services 24-hours a day every day. Via the community, which is built on Community Cloud, people can pay their council tax, apply for benefits, request licences, and sign up for new services. Behind the scenes, we’ve automated lots of these processes too, so council officers spend less time pushing paper and more time delivering front line services. How has the community been received by local residents? Much better than we expected - sign-up rates have been phenomenal! We had a target of 10,000 users for the first 12 weeks and easily met that. We now have more than 32,000 members (out of 78,000 households), with an average of 100 new sign-ups every day. To ensure we didn't create a ‘digital divide’ with My Account, we developed an assisted sign-up process for people that need it. What happens when residents want to interact with a ‘real person’? We still have a contact centre that responds to phone calls and email-based queries. We also use web chat a lot. We didn't anticipate how successful it would be: we’re now participating in around 50 web chats a day. Officers can hold four chats simultaneously and securely share documents. It’s more efficient than the phone and a lot of people seem to prefer it. How have you measured the success of your digital approach? We’re now looking at automating more internal processes and bringing additional services and information onto MyAccount. For example, we want to introduce self-service with internal and external knowledge articles, and are looking into simplifying venue booking. Digitisation isn’t just an opportunity to improve service delivery; it’s an opportunity to improve revenue generation, so we can commit more resources to supporting local people and businesses. Digitisation helps organisations maximise their resources so they can maximise the results for their customers – regardless of whether they are a local council or a global enterprise. To find out more about how Aylesbury Vale District Council has transformed service delivery for the digital age, read the full success story.